The Case Western Reserve University men’s and women’s swimming and diving teams returned to the pools last weekend to compete against Notre Dame College. Both teams were able to claim a victory with the men winning with a score of 144-63 and the women with a score of 145-58. Together, the teams won 22 out of the 26 events, with men and women each winning 11 first place titles. Highlights for the men’s team include first-year swimmer Nicholas Schoenig who won the 50-yard freestyle after recording a time of 22.60. 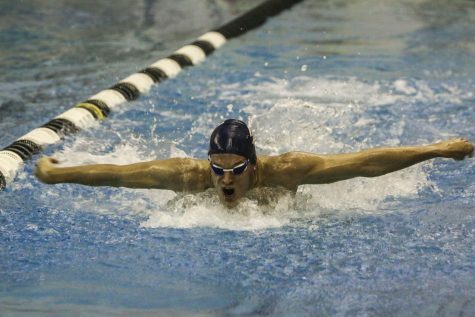 In addition to that title, he also finished first in the 100-yard butterfly with a time of 53.18. Third-year swimmer A.J. Quinn won the 1,000-yard freestyle with a time of 10:15.27 and second-year teammate Will McDonald took the 200-yard freestyle after finishing with a time 1:48.21. Both Quinn and McDonald joined third-year teammates James Pierre and Eli Rose in the 200-yard medley relay where the team earned first place with their time of 1:39.47. 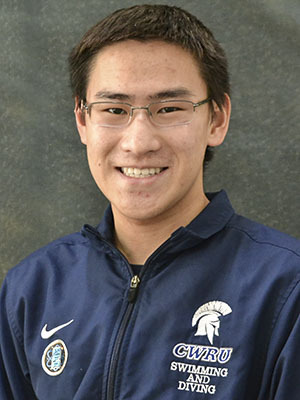 Additional swimmers who saw victories were fourth-year swimmer Brody Schmidt in the 100-yard individual medley, first-year student Ryan Gilbert in the 100-yard freestyle and first-year student Kelvin Tay in the 100-yard backstroke. First-year Spartan Neil Wible also claimed a title after completing the 500-yard freestyle in 4:55.96. 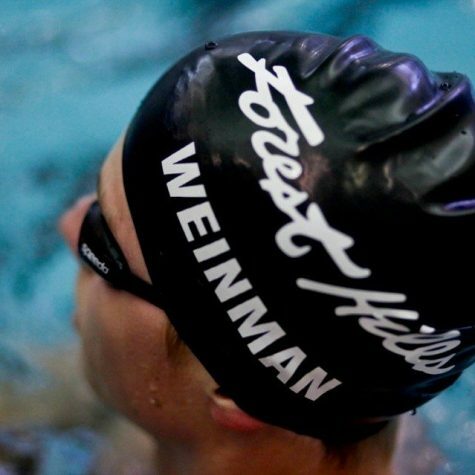 For the women, the team also saw victory in the 200-yard medley relay. The team was composed of fourth-year swimmers Bhavya Kumaran, Alli Drohosky, Alexa Simoneau and Suhan Mestha. The quartet recorded a time of 1:51.93. 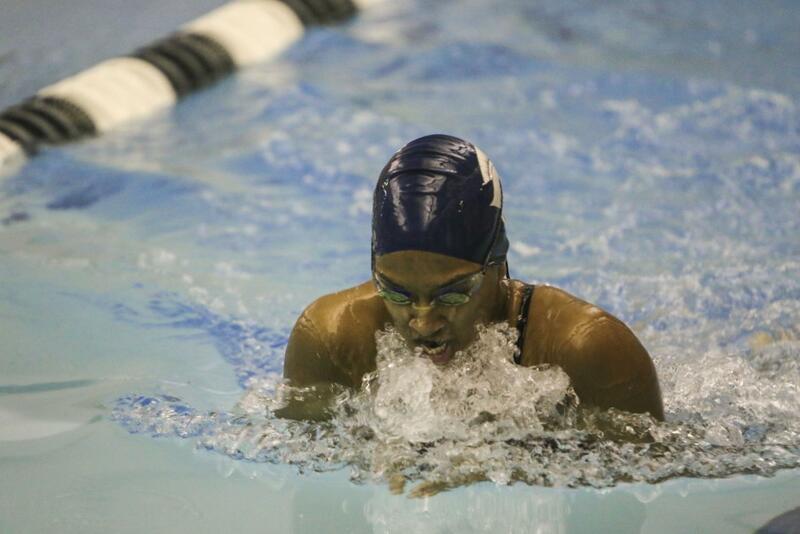 In addition to her relay win, Mestha also took the 100-yard individual medley and 100-yard freestyle with a time of 54.15 in both. In the 1,000-yard freestyle, first-year swimmer Sarah Krueger had a time of 10:50.97 which earned her the title. Other first place finishers for the Spartan women include fourth-year student Kelsey Holmberg in the 200-yard freestyle, third-year student Olivia Picchione in the 100-yard butterfly and third-year swimmer Sienna Picchione in the 500-yard freestyle. Fourth-year student Renee Decker and first-year student Skye Fogle each finished in the lead in their events which were the 50-yard freestyle and the 100-yard backstroke, respectively. The diving team also saw success. Second-year diver Cassiel Yuzik took first in both the one-meter dive and the three-meter dive. He scored 232.45 in the one-meter event and 218.45 in the three-meter event. 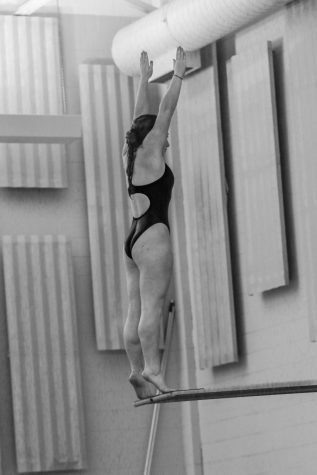 First-year student Hailey Seibert also won both the one-meter dive and three-meter dive with scores of 185.05 and 208.90, respectively. 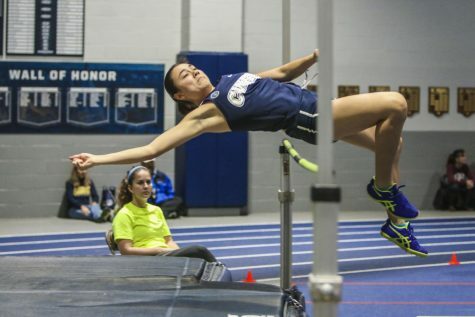 The Spartans next compete on Wednesday, Feb. 13 at the University Athletic Association Championships at the University of Chicago which continue through Feb. 16.